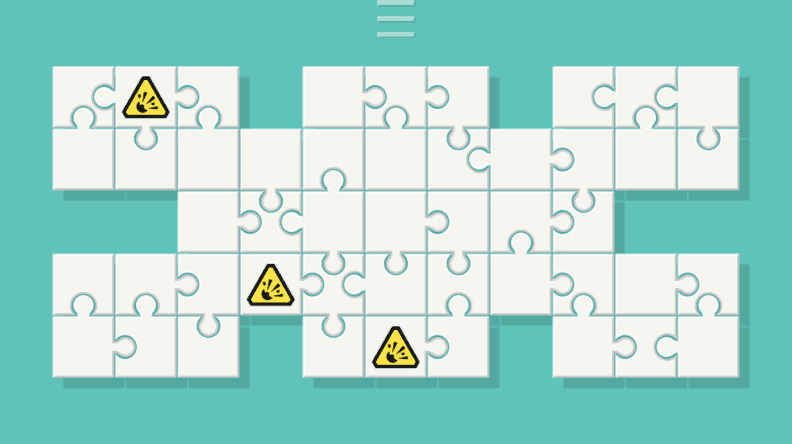 Unpuzzle 2 is a free puzzle game in which you try to remove connections between all puzzle pieces in each level to proceed to the next. The only option that you have is to drag puzzle pieces vertically or horizontally. As you can imagine, this is not as easy as it sounds. You may drag them only if no other puzzle piece is in the way, only if it is connected to a single other piece, and if other connections don't get in the way either. 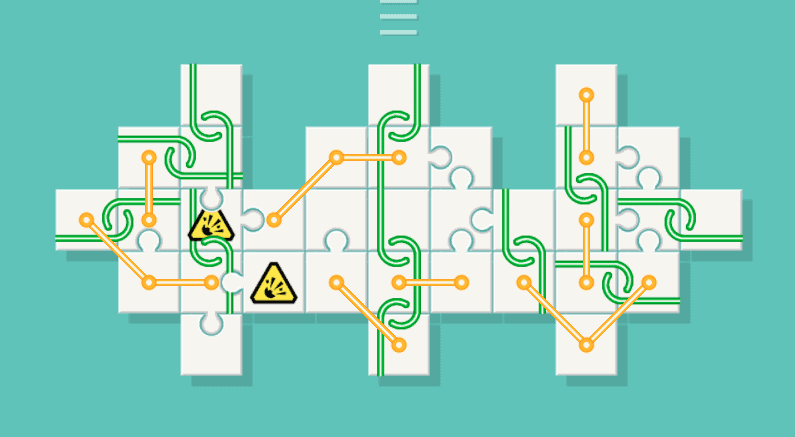 If you take a look at the screenshot below that shows an early level, you will notice the three elements that may prevent puzzle pieces from being dragged off the screen. 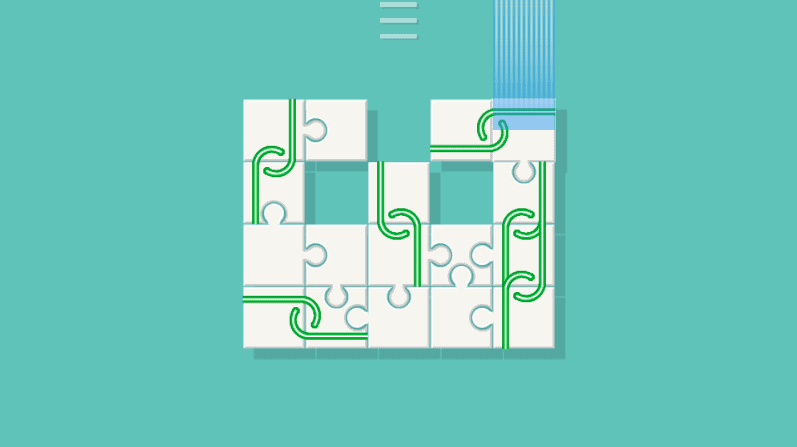 Some pieces are connected to other puzzle pieces directly, and some are interlinked as indicated by the green lines displayed on some of the puzzle pieces. The game introduces new components in later levels; a puzzle pieces smashing icon that you can drag puzzle pieces on to have them destroyed, and connected pieces that you must drag together are just two of the new elements introduced while you play the game. The maps get bigger with each level that you solve which makes things more complicated but fun as well. You are not penalized for attempts to drag puzzle pieces that cannot be moved in the selected direction or at all, so that you may solve each puzzle through trial and error until you get it right. Unpuzzle comes with a hint system that you may use to reveal the next move to get the puzzle solved. Just click on the menu icon and then on the hint option to display it for the current level. Unpuzzle 2 is a relaxing puzzle game that uses elegant game mechanics to challenge players without putting any kind of pressure on them. You have as long for each level as you need and are not punished for bad moves or in any other way. All puzzles can be solved using logic or trial and error. The latter may take longer but it gets the job done as well. If you like Unpuzzle 2, you may also like the first Unpuzzle game which comes with less levels and game elements but is as fun to play as the second iteration.